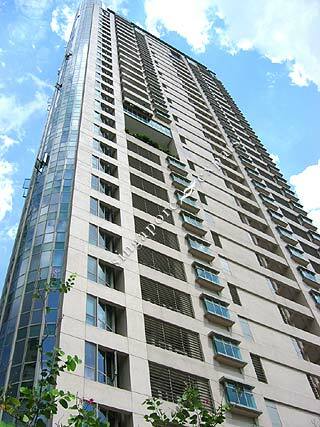 Newton 18 is a luxurious freehold development located along Newton Road, in Singapore's prime residential District 11. This development caters mainly to discerning urban dwellers with a fast paced executive lifestyle. Social amenities are readily available from Orchard Road, the main shopping, entertainment and hotel belt in Singapore, all a 5-minute drive away. In addition, a variety of recreational facilities can also be found in the vicinity. These include the Cairnhill Arts Centre, the Tanglin Club and the American Club. Popular clubs and pubs along River Valley, Clarke Quay and Boat Quay are also just a mere 10-minute drive away. Newton 18 enjoys excellent accessibility to other parts of the island, linked by the Central Expressway (CTE), the Pan Island Expressway (PIE) and Bukit Timah Road, Newton Road and Scotts Road. For frequent overseas travellers, the surrounding network of roads provide easy access to Changi Airport, while its close proximity to the Kranji Expressway makes it convenient for golf enthusiasts keen to cross the Causeway for some golfing action. For those who prefer not to drive, Newton 18 is conveniently located between two Mass Rapid Transit (MRT) stations, namely Newton MRT Station and Novena MRT Station. Given its close proximity to the proposed commercial hub at the Novena MRT Station, Orchard Road and the Central Business District (CBD), Newton 18 provides vast opportunities for investors and added convenience for home-owners / occupiers. Newton 18, a 30-storey residential development comprising a total of 81 units, offers special features that include a unique 13 storey high sky terrace that comes with a cozy landscaped garden, a Jacuzzi pool and a spectacular view of the city. Soft soothing music further provides the ambience for a tranquil and serene setting to the terrace. Beautiful location. Near city and accessible to all parts of country. Bus stop right in front of condo and Newton mrt is just one stop away. Walk to mrt is 7 mins. Quality constructing material used. Nice view and decent facilities in an 81-unit condo.